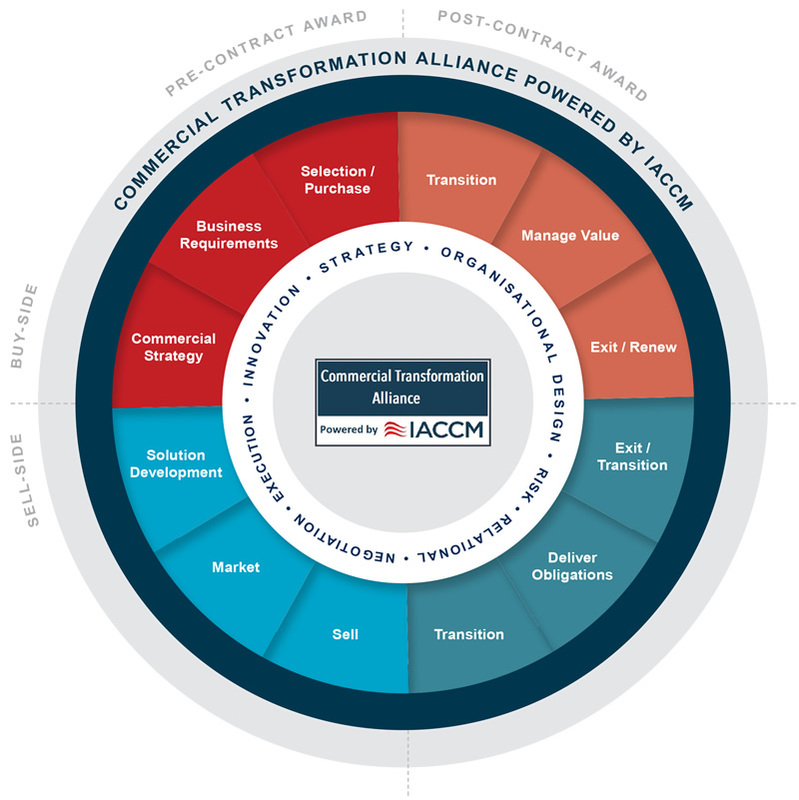 As a diverse group of seasoned practitioners, and powered by IACCM, the CTA has experience in many areas and sectors. This allows us to bring together a large portfolio of tools, techniques, and approaches based on IACCM and CTA member research, benchmarking and insights, either to help transform your existing approaches or supplement them with best practice. We focus end to end from inception to exit, and both buy-side and sell-side to create a holistic view. Typical assignments range from strategic organisational structure and process redesign to tactical delivery of contract simplification and benchmarking assessments against industry peers. Whatever the nature of the task there is one fundamental objective: to deliver practical solutions that drive tangible commercial benefits.